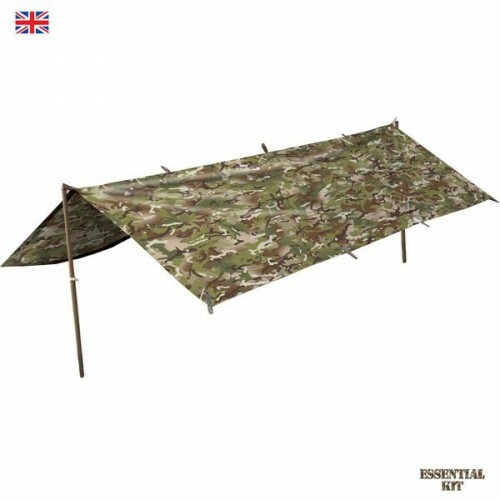 Kombat UK's traditional and versatile military style basha shelter in BTP Camouflage. Brand new - PLEASE NOTE THAT POLES, BUNGIES and PEGS ARE NOT INCLUDED - BASHA SHEET ONLY! 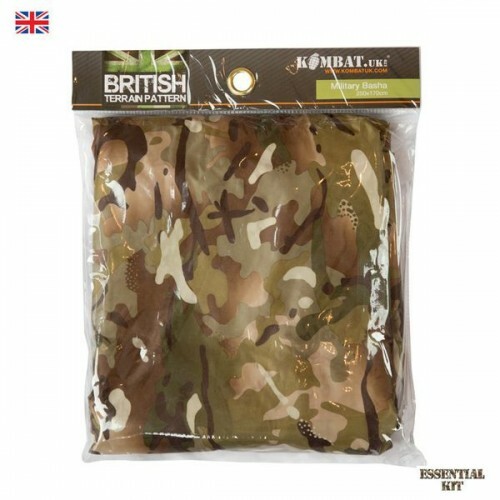 British Terrain Pattern - designed to match the British Army MTP and Multicam. 12 x reinforced loops around the edge. Brass eyelets and 3 x reinforced pitch loops.